Le Meridien is one of the world’s renowned hotel companies, with a portfolio of more than 100 luxury and upscale hotels in over 50 countries worldwide. Located in the hot spot cities of the world, Le Meridien hotels provide top-notch quality when it comes to hospitality. 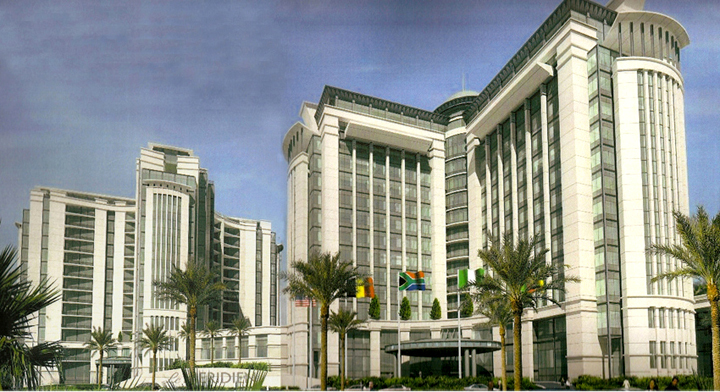 Recently, FingerTec products caught the eye of the Le Meridien in Lagos, Nigeria as a time attendance solution for their hotel. Le Meridien in Lagos, Nigeria. It all began during one the largest security shows in Africa, the IFSEC West Africa 2012. The event itself was held in the Le Meridien Hotel, and while making their rounds in the exhibition, the management staff of the hotel spotted Rapid Vigil’s booth, which offered total attendance and access solutions. Being in a hotel industry, many of the employees in the hotel work within specified shifts, to ensure that the hotel services function round-the-clock. Currently the hotel was using the manual time punch cards to sort out their staff attendance. After seeing what FingerTec terminals and the software could do, the hotel decided to equip their premises with the FingerTec AC100C, and the R2 & R2i units for their main management office. Using the TCMS V2 to manage and analyze reports, the best part about using FingerTec, according to the management, was that they could get rid of all their manual punch cards, which can be a real messy ordeal to deal with. Rapid Vigil has been a FingerTec partner since the year 2005, and is the official and exclusive distributor of the FingerTec brand in Nigeria. Emphasizing on training and support, the company has grown far since, and is one of the top security solutions companies in the country.